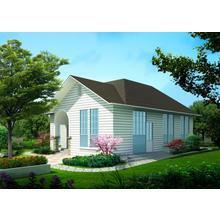 We are a professional manufacturer of different kinds of Modular House and Modular House. 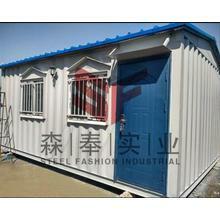 Shanghai Steelfashion Industrial Co.,ltd is one of the leading Chinese composite board and modular houses manufacturers and suppliers. We exported modularhouses,containerhouse,prefabricatedhouse,steel structure building,wall panel,roof panels,sandwich boards..etc to over 10 countries and areas. Such mobile house can be use to be coffee shop,temporary offices, removable home,removable buildings,motel,villa,cheap houses..etc. The materials used in modular homes are typically the same as site constructed homes. frame floors, walls and roof are often utilized.Modulars can be designed to sit on a perimeter foundation or basement. 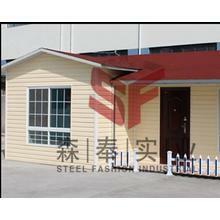 In contrast, mobile homes are constructed with a steel chassis that is integral to the integrity of the floor system. 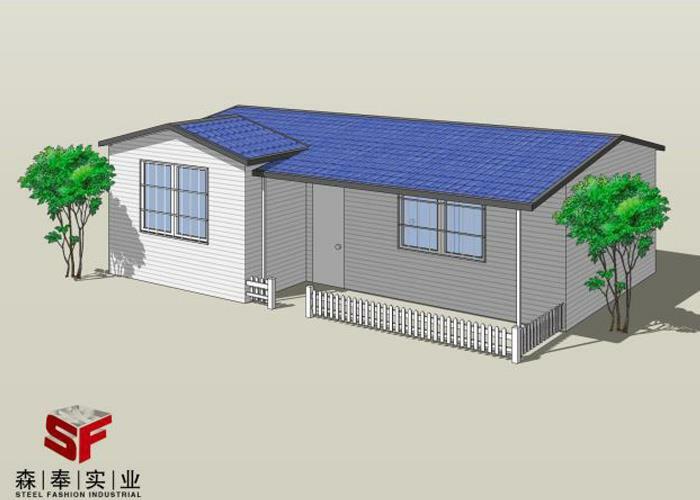 Such transportable house can be custom built to a client's specifications. 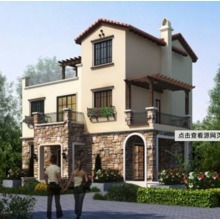 Current designs include multi-story units, multi-family units and entire apartment complexes. The negative stereotype commonly associated with mobile homes has prompted some manufacturers to start using the term "off-site construction." 3.1 Speed of construction/faster return on investment. Modular construction allows for the building and the site work to be completed simultaneously. According to some materials, this can reduce the overall completion schedule by as much as 50%. 3.2 Indoor construction. 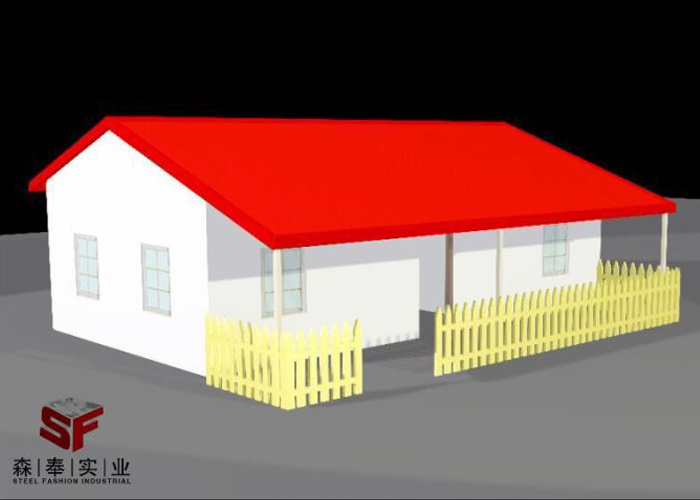 Assembly is independent of weather, which can increase work efficiency and avoids damaged building material. 3.4 Low waste. With the same plans being constantly built, the manufacturer has records of exactly what quantity of materials are needed for a given job. While waste from a site-built dwelling may typically fill several large dumpsters, construction of a modular dwelling generates much less waste. 4.6 Flexibility. One can continually add to a modular building, including creating high rises. 5. The heat insulated material can be EPS or other sandwich board such as rockwool,glass wool,XPS,foam cement..etc. All the components are standard and prefabricated with the advantage of assembling and disassembling easily. Eight skilled workers can finish 100m2 in 8 hours. 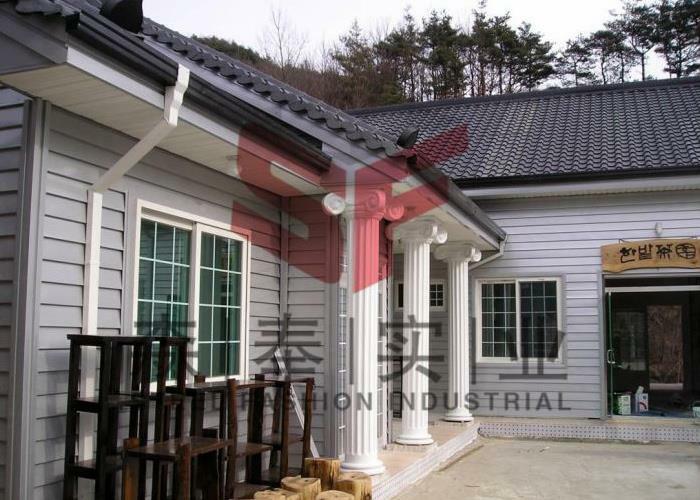 Waterproof design of steel structure, heat insulation material ensures the house to resist heavy wind load of 0.45KN/m2 and 7 degree seismic intensity. All the components are standard and prefabricated with the advantage of assembling and disassembling easily. We have a wealth of business experience. We provide satisfactory products and services to our customers around the world. 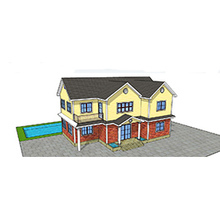 Our products include Modular House,Modular House,modular cabins,prebuilt homes,prefab home prices,prefab house plans Please contact us.